After struggling with firmware updates shortly after receiving the Pixel King Pro, I quickly began to wonder if my experience with this product was going to be much the same as I’d had with previous triggers from the same company. Eventually, however, the testing was underway and I was pleasantly surprised by the results. 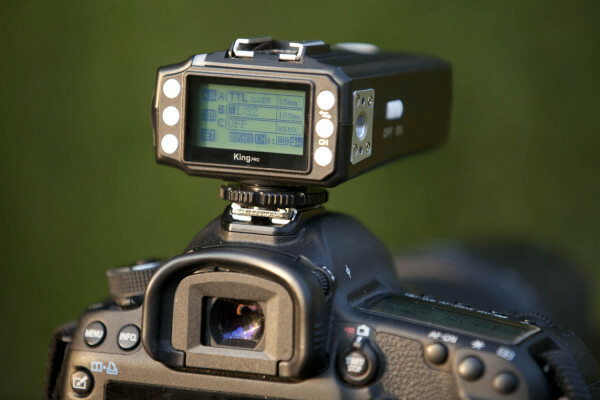 The Pixel King Pro functions in much the same way as previous Pixel triggers, but with one main difference – the presence of an LCD screen. But first, let’s look at the specifications. I was pretty unsure about the King Pro’s LCD at first, as I expected the feature to be a dodgy gimmick and more of a hindrance than anything else. 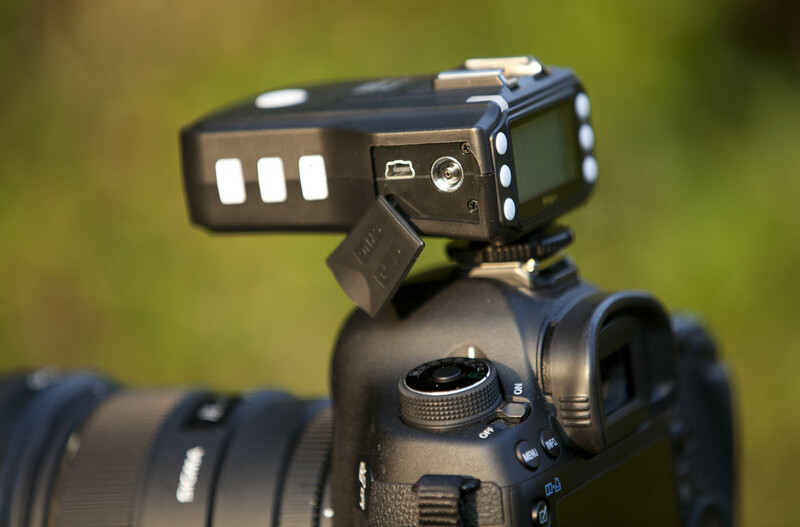 The interface on the rear of the Pixel trigger isn’t intuitive and without the assistance of an instruction manual, it can be difficult to understand button functions and settings. After a quick read, though, things do start to make more sense. Everything you’d need to change in the course of a normal photoshoot can be controlled from the King Pro unit, without a need to manually punch numbers and settings into your flashguns. 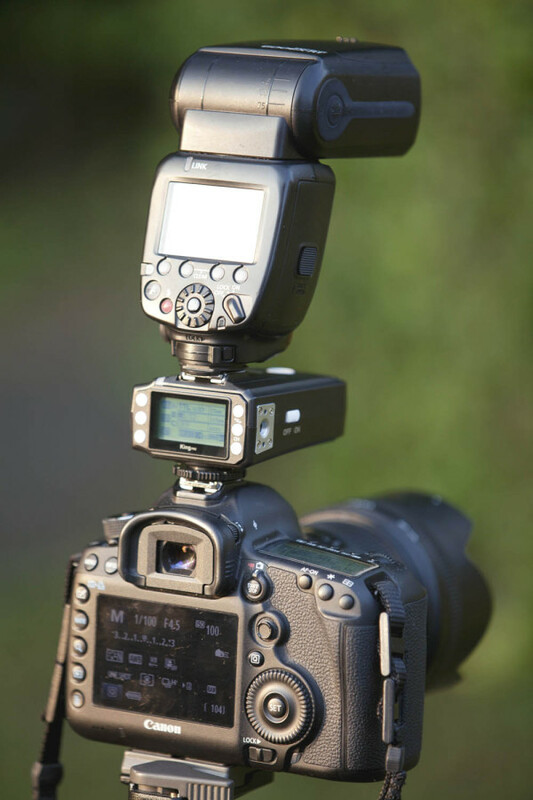 This includes Flash Ratio, Master/Slave, Zoom and Exposure Compensation, 1st/2nd curtain and HSS settings. Frustratingly, the unit’s LCD backlight lights up for a mere five seconds after buttons being pressed, which makes photography in dark or night-time conditions difficult and maddening. While the backlight is on, however, the LCD is easy to read and self-explanatory. The backlight also changes colour to distinguish between modes – green for Master and purple for Slave. 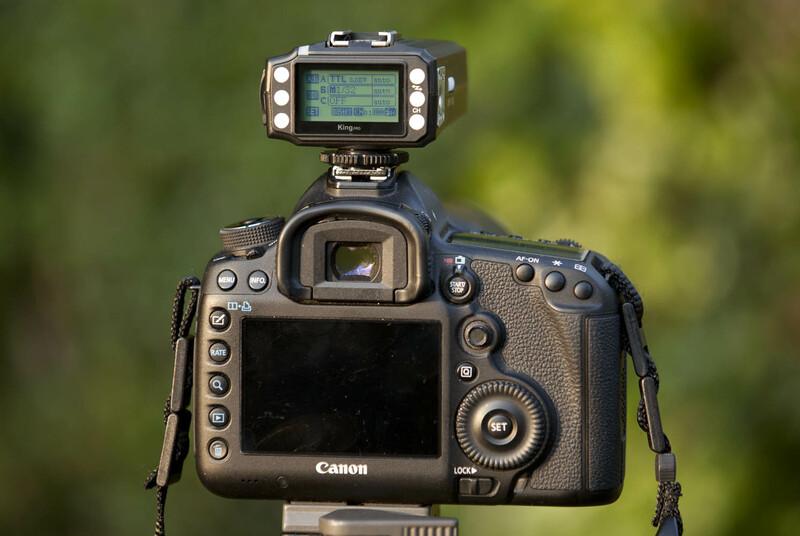 A nice touch is the battery level indicator in the bottom right corner, which has four level stages and ensures peace of mind during fast-moving shoots. Previous products from Pixel would have simply given up, leaving batteries, flashguns, battery doors and chargers flying all over the place in a typical photographer’s panic. Good to see that Pixel’s got that covered now. Additionally, Pixel have ensured that the King Pro’s battery door is hinged and does not detach from the trigger unit, in comparison to previous Pixel units, whose battery changes were nothing other than a fumble. In the field, the King Pro performed well with no misfiring and no major firmware issues at all. The fact that the user has to use the group setting buttons on the side of the unit whilst navigating through the settings on the rear LCD area is slightly annoying, especially when in the middle of a fast-paced shoot. It would be impossible, however, for Pixel to add any more buttons onto the LCD area without increasing the unit’s already considerable size. A neat feature of the Pixel Pro is that it allows for Manual and ETTL modes to be used simultaneously on different groups. For example, in a three flash set up, you could have a flash set at ETTL on Group A, and another two flashes set at Manual mode settings on Group B and Group C. This could prove particularly useful when you require a fixed power on Group B and Group C (to light a background, for example), whilst still having the flexibility of ETTL with your Group A flash. I tested the King Pro with the King X, which is essentially a receiver version of the King Pro, minus the LCD screen. Connectivity between both master and slave was flawless and consistent at all times. Despite Pixel’s claims that its King Pro is backwards compatible with the older Pixel Kings, it seems it’s not quite as simple as that. It appears that even if all groups are set to ‘OFF’ on the King Pro’s LCD screen, the trigger still seems to fire the flashgun mounted on the Pixel King receiver. It’s not all bad, though, as that’s perhaps a firmware issue more than anything else (or, perhaps, a dodgy unit) and the flash still fires successfully when set to ETTL II mode through the King Pro. Manual mode, unfortunately, seems not to operate using the older Pixel King receiver. Their impressive 300 metre range makes the King Pros ideal for all types of photography and at no point in my test did I approach that distance away from my subject. I did, however, test their range independently and found the above figure to be pretty accurate. It’s also good to see that Pixel have taken on board the criticism they received for omitting a dedicated flash test button on the older Pixel Kings. Pixel have, however, decided to remove the white-coloured AF assist light previously found on the Pixel Kings, presumably due to the fact that the LED lights used were criticised by photographers for being pretty much, useless. 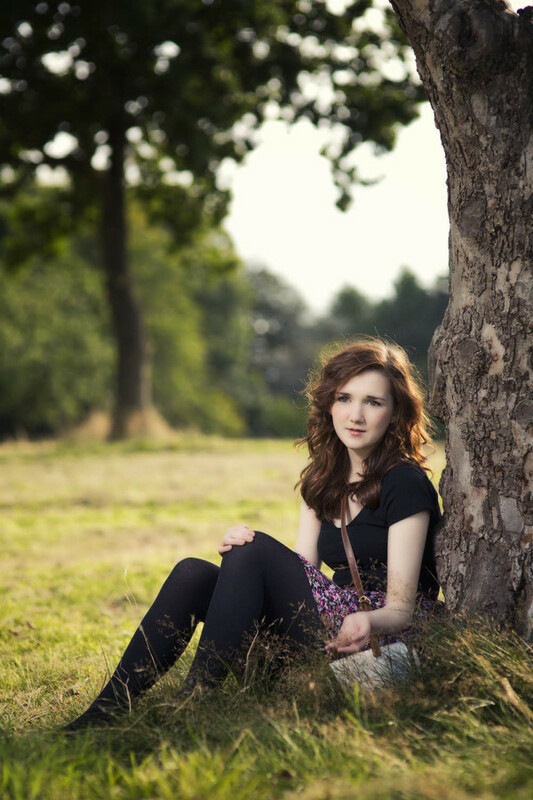 Canon EOS 5D MK III at 85mm, ISO 100, 1/1000s @ f/2.2. Canon Speedlite 600 EX RT, through softbox, camera left @ 1/1 – 0.3 power. Canon Speedlite 580 EX II, bare flash, backlight @ 1/16 power. 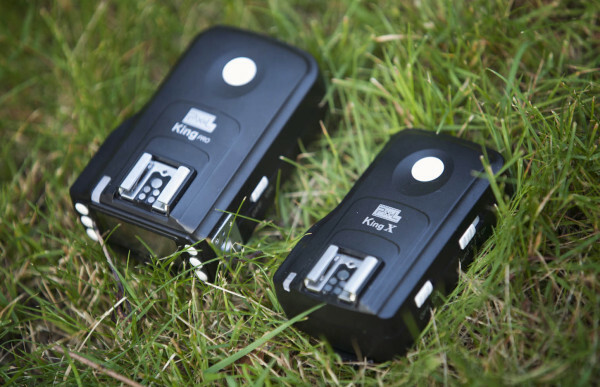 Both Speedlites were triggered using King Pro and King X, respectively. All in all, I’ve been impressed by the King Pros. Yes, there are some minor faults, but it seems that Pixel are starting to pick up the pace with their products and crucially, are listening to their customers’ comments and advice. The King Pros are robust, have a wealth of features and are unlikely to give up too quickly, even if they’re thrown about a bit. 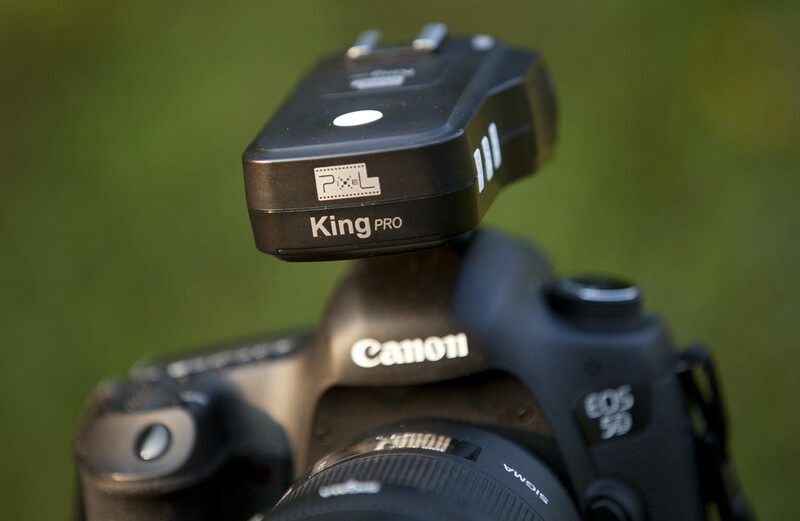 Quite honestly, the King Pros are some of the best triggers I’ve used and are definitely worth their money, either if you’re starting out with flash photography or want an upgrade from previous Pixel, or similar, models. They’re available for $149.99 (about £90) on eBay and Amazon.